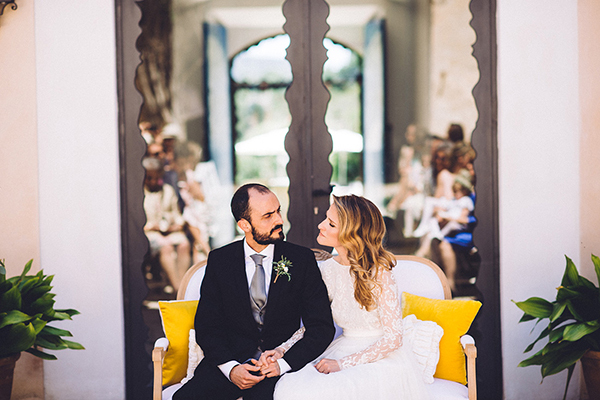 Inspired by the Mediterranean Sea and the summer palette of white, blue and intense yellow, this wedding has a unique style. 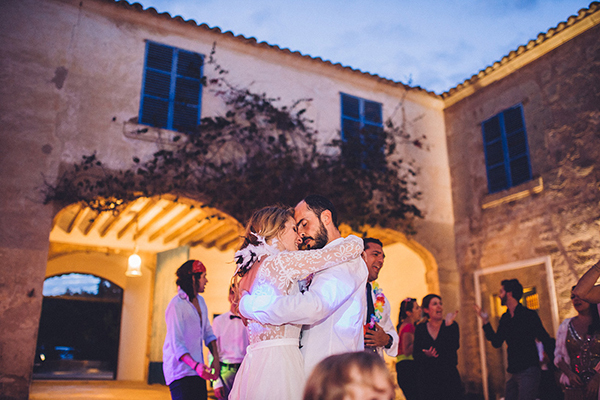 Aina and Pere decided to organize an intimate party for their wedding and celebrate with their families and close friends. 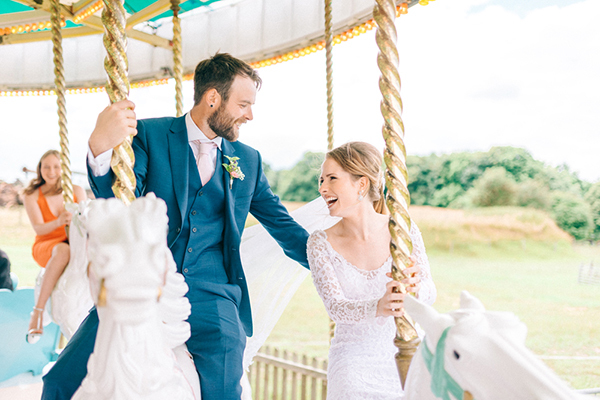 Both ceremony and reception took place in an outdoor, greenery venue with a vivid decoration, vintage, rustic and funny details. 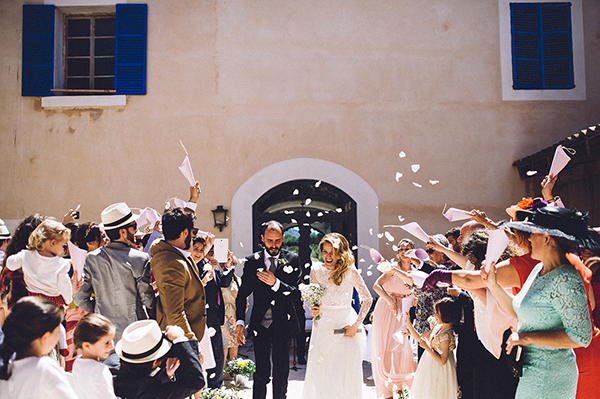 The wedding was adorned with wild flowers such as lavender, olive, rosemary and chamomile. 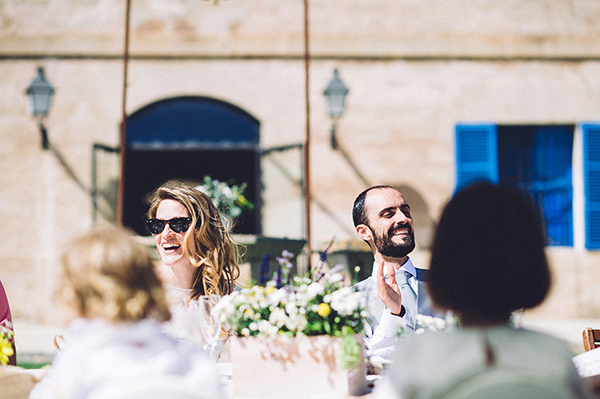 Enjoy a wedding peppered with lots of fun and many laughs! 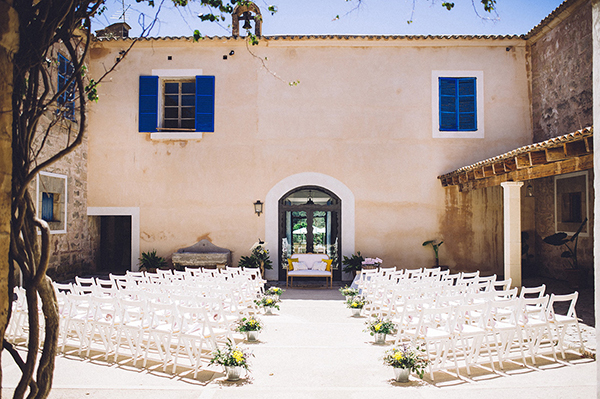 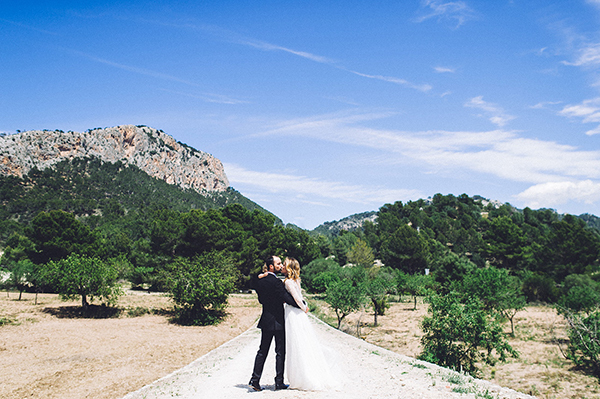 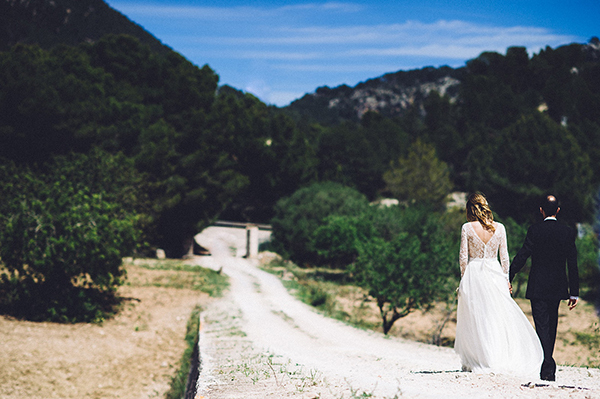 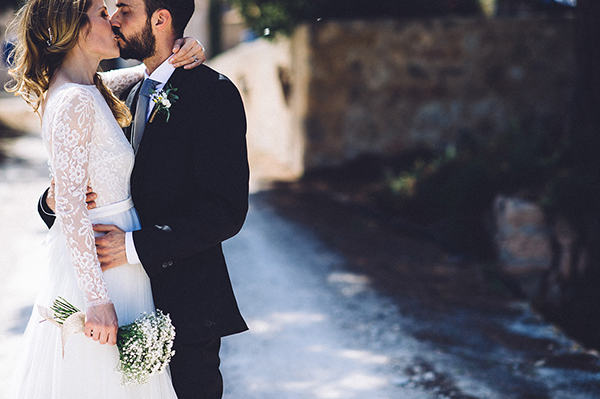 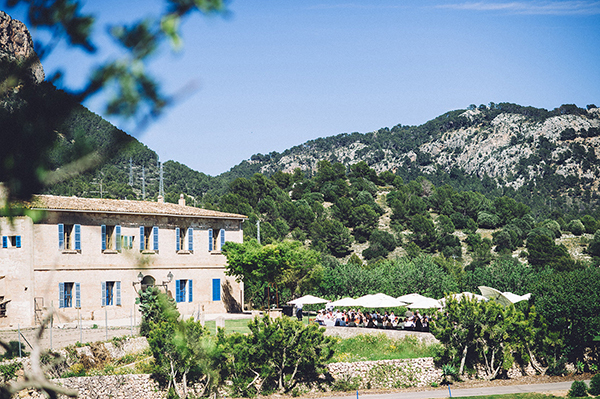 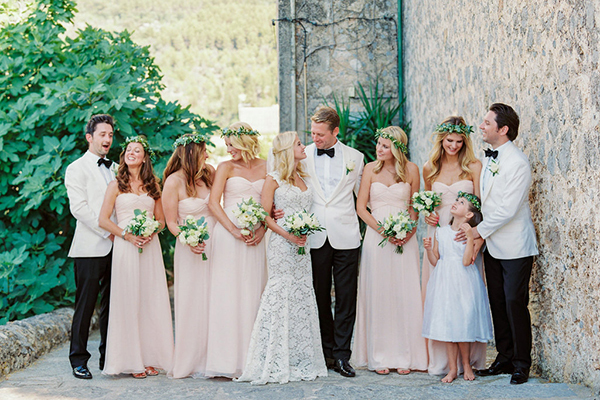 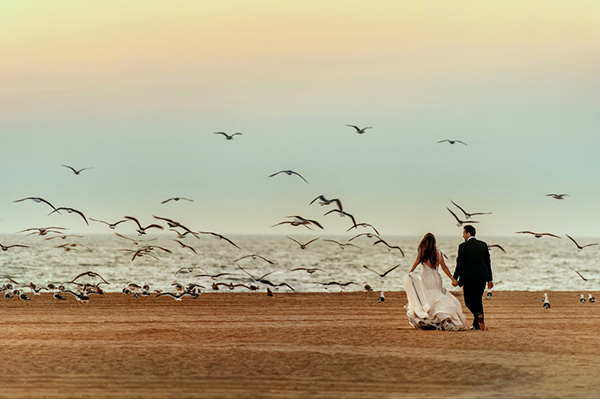 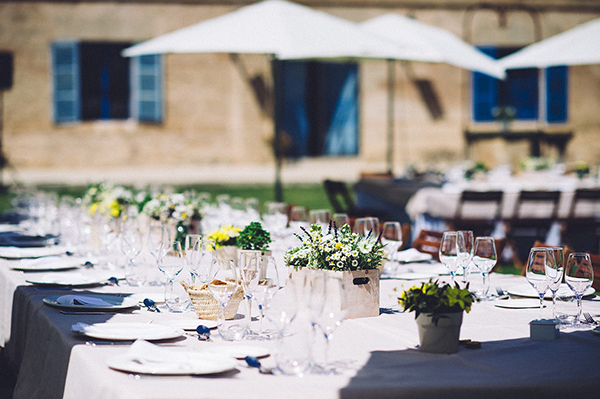 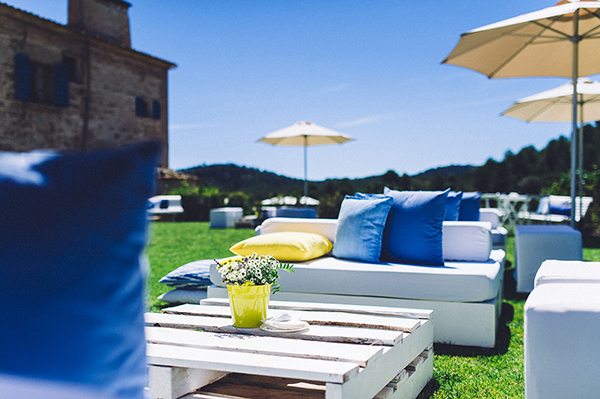 “We get married in Mallorca, Baleares Island in Spain”, the bride shared with us. 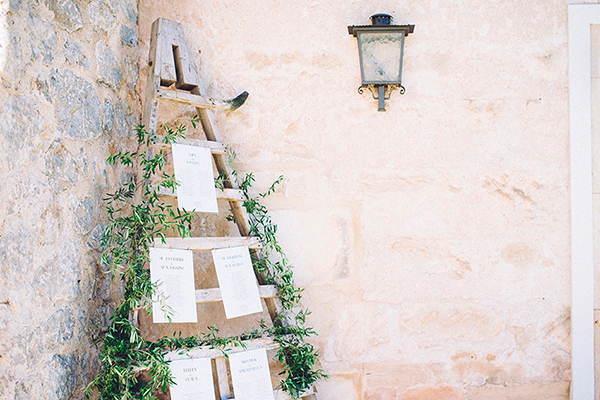 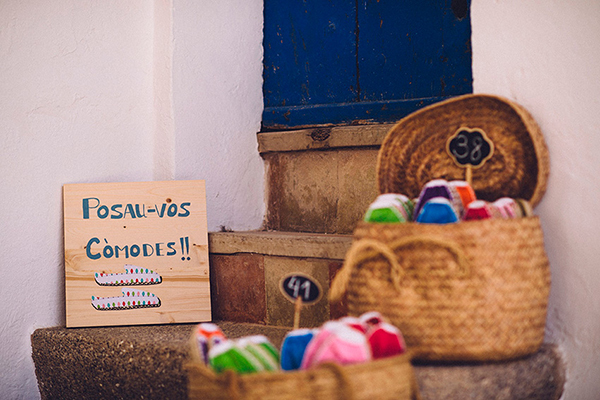 “We wanted a rustic, vintage and funny decoration inspired by Mediterranean. 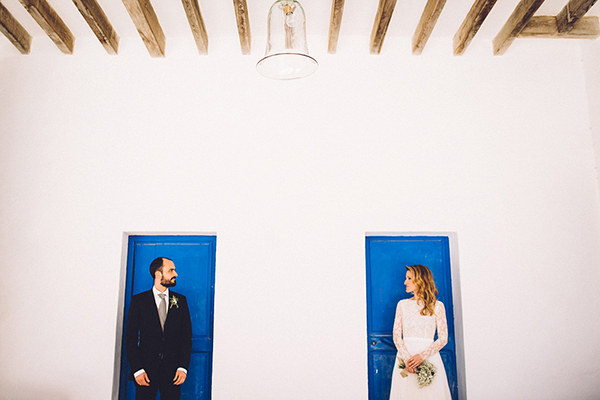 It was used: wood and fabrics. 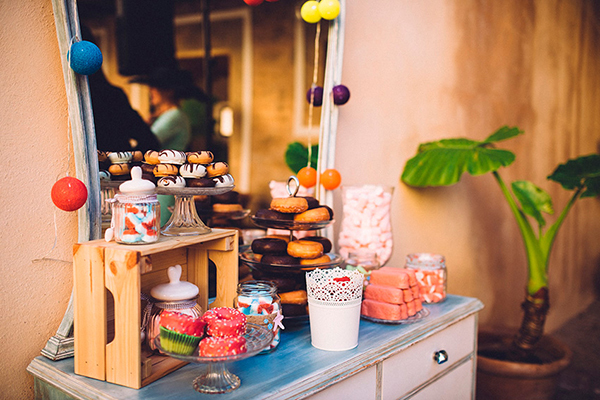 The tables were decorated with Little plants, wood boxes and little vintage jars. 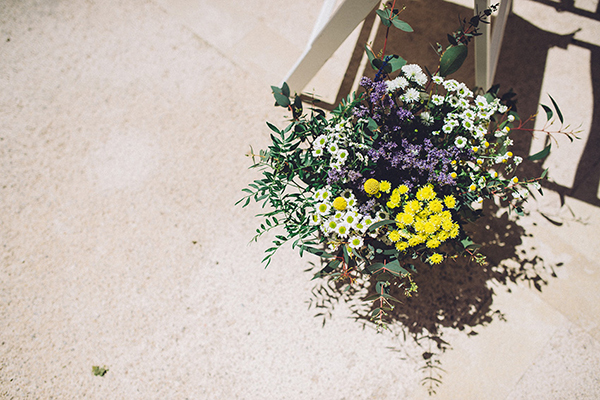 For flowers we picked lavender, olive tree, rosemary and chamomile. 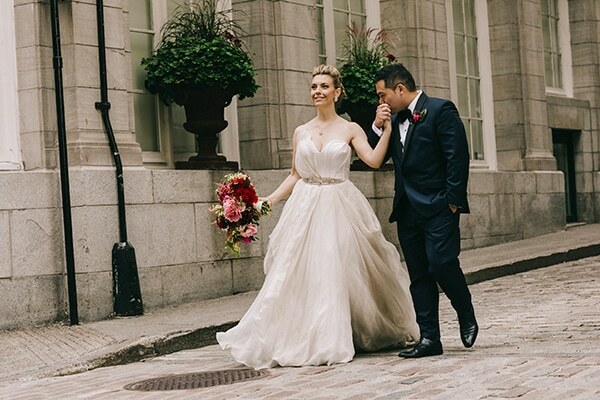 My flower bouquet was made by lavender, chamomile, rosemary and white roses. 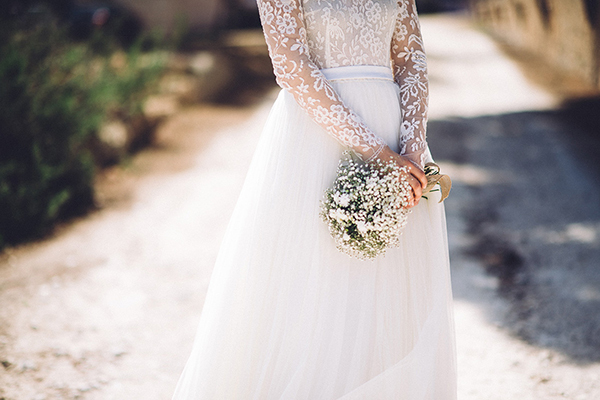 I wanted something casual but beautiful for my bouquet”. 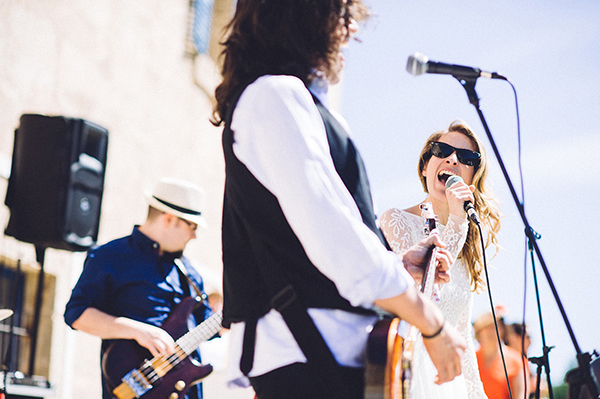 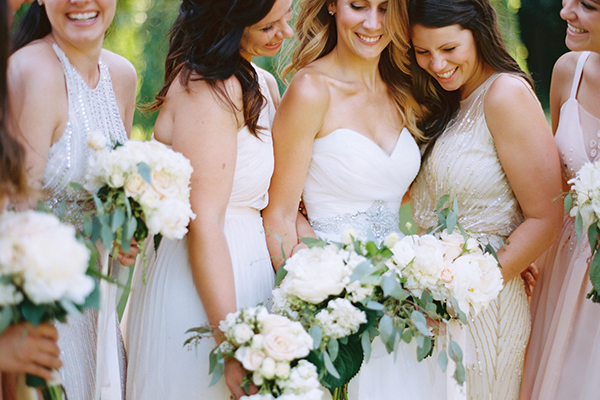 “Our wedding was an intimate party, very personal and super fun. 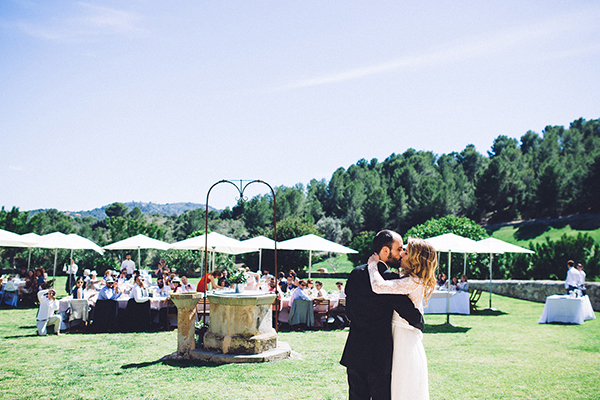 We were surrounded by close family and friends. 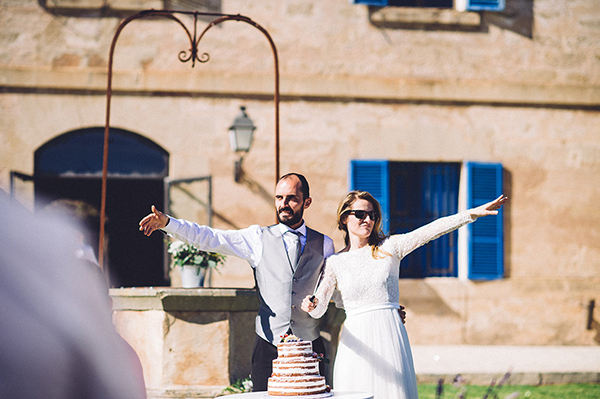 We had a great time and we enjoyed a lot”.